This week, Gastropod tells the story of two countries and their shared obsession with a plant: Camellia sinensis, otherwise known as the tea bush. The Chinese domesticated tea over thousands of years, but they lost their near monopoly on international trade when a Scottish botanist, disguised as a Chinese nobleman, smuggled it out of China in the 1800s, in order to secure Britain’s favorite beverage and prop up its empire for another century. The story involves pirates, ponytails, and hard drugs—and, to help tell the tale, Cynthia and Nicky visit Britain’s one and only commercial tea plantation, tucked away in a secret garden on an aristocratic estate on the Cornish coast. While harvesting and processing tea leaves, we learn the difference between green and black tea, as well as which is better for your health. Put the kettle on, and settle in for the science and history of tea! It seemed so simple in the mid-1700s: China had tea, Britain wanted tea. First introduced by Portuguese princess Catherine de Braganza in 1662, tea soon overtook beer as Britain’s favorite brew. The only problem, according to Sarah Rose, author of For All the Tea in China: How England Stole the World’s Favorite Drink and Changed History, was that the Chinese weren’t purchasing any British goods in return. Britain was simply dumping its silver into China, creating a serious balance of payments problem. Britain’s solution? Trade drugs for drugs—specifically, the caffeine fix in tea for the poppies that grow abundantly on the Afghan-Pakistan border, which at the time was part of the British empire. “They just start dumping opium into China,” explained Rose. But drug-dealing proved to be an expensive headache, and so, in 1848, Britain embarked on the biggest botanical heist in history, as well as one of the biggest thefts of intellectual property to date: stealing Chinese tea plants, as well as Chinese tea-processing expertise, in order to create a tea industry in India. Tregothnan tea bushes and our freshly harvested tea leaves. Today, the 700-year-old family estate of Tregothnan, Cornwall, is actually selling tea back to China. And after Cynthia and Nicky pluck, process, and slurp the estate’s delicious teas, we talk to scientist Jeffrey Blumberg at Tufts University’s Friedman School of Nutrition Science and Policy to get to the bottom of the hype surrounding tea’s health benefits. Listen in now for a swashbuckling tale of pirates and polyphenols! We recommend reading Sarah Rose‘s excellent book for the full story of Robert Fortune’s exploits in China—it’s a fabulous tale! And keep an eye out for her next book, all about the history of the women recruited to Churchill’s secret spy agency in World War II. It won’t hit the shelves for a while yet, but it sounds fantastic. Tregothnan is a 700-year-old aristocratic estate, the home of the Earls of Falmouth, near Truro in Cornwall. 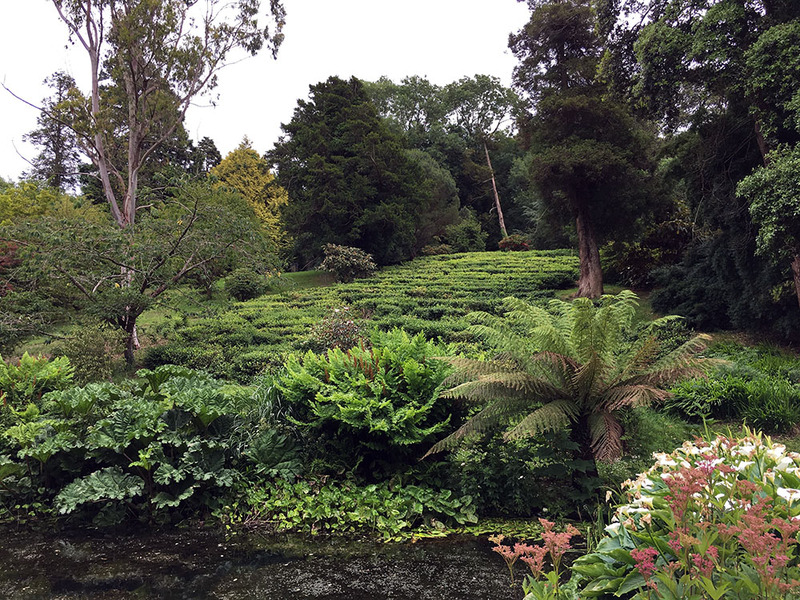 It boasts Cornwall’s largest historic botanic garden, filled with treasures such as the “dinosaur tree” Wollemi pine, endangered Kea plums that only grow in a single valley, and the world’s largest camellia bush maze. But, for our purposes, its main claim to fame is that it “puts the English into English tea for the first time in history,” ever since it started selling England’s first and only domestically grown tea in 2005. You can order their single-estate loose-leaf tea, with its “muscatel notes and Magnolia florals,” as well as freshly harvested, unprocessed tea leaves and their range of delicious custom blends, online. 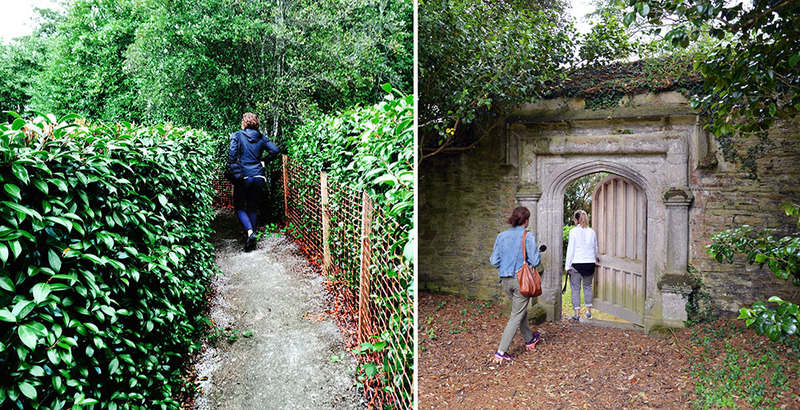 Hunting bothy, bowling green, and banana plants at Tregothnan. 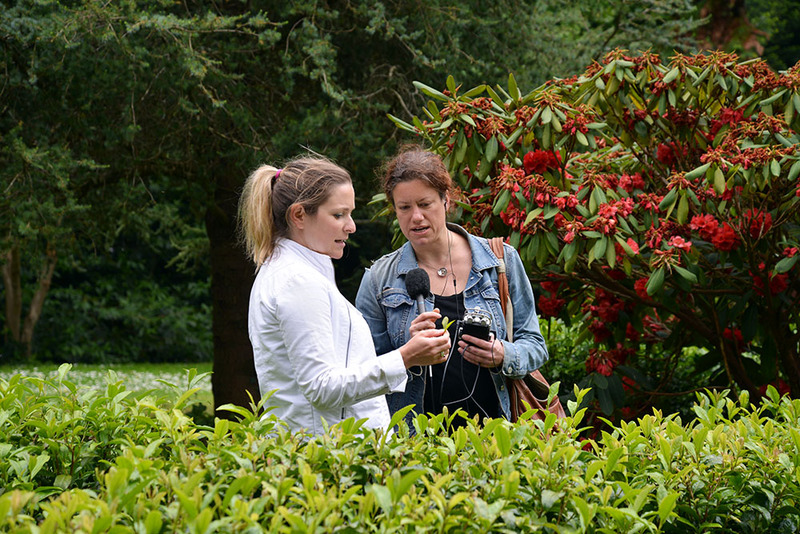 Bella Percy-Hughes and Cynthia looked at a plucked tea bud and leaves at Tregothnan. Jeffrey Blumberg is professor of nutrition science and policy at Tufts University’s Friedman School of Nutrition Science and Policy, as well as senior scientist at the Jean Mayer USDA Human Nutrition Research Center on Aging. His research is focused on the biochemical basis for the role of antioxidant nutrients in promoting health and preventing disease. As part of his work, he chaired the most recent International Scientific Symposium on Tea and Human Health. Cornwall or Darjeeling? The Himalayan Valley at Tregothnan. Nicky disappearing into the camellia maze; Cynthia following Bella into the secret garden. The post It’s Tea Time: Pirates, Polyphenols, and a Proper Cuppa appeared first on Gastropod.